Tired of weeding through outdated job posts to find your next career move in the Milwaukee area? Or, are you finding plenty of open opportunities in the region, but simply can’t get your resume the attention it deserves? Partnering with headhunters in Milwaukee can truly change the entire job hunting experience for you. Here at Lawler Group, our team of trained and experienced headhunters have the expertise needed to streamline your search from “hunting” to “hired,” however we tell all of our prospective candidates that a successful partnership is a balanced partnership. In order to make the most of out a professional relationship with any recruiting team, it’s important to know exactly what your chosen firm will expect from you throughout the process. Many candidates who are working with headhunters in Milwaukee for the first time assume that they simply need to submit their resume and, from there, the entire process will be managed for them. Not exactly. While a qualified recruiter will certainly do her part to get your resume submitted to jobs you are qualified for, she will also expect you to participate throughout the entire experience in a wide range of ways. All professional headhunters in Milwaukee expect honesty from their candidates. Some of your initial conversations will include your preferred job descriptions, pay, and company location. Be upfront about everything that you discuss with your recruiters. Not only will it help establish trust in you as a reliable candidate, it will also help them find you opportunities that will interest you. 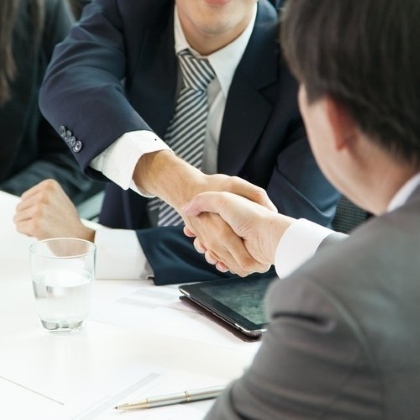 What is a key part of the “honesty-is-the-best-policy” relationship with your headhunters in Milwaukee? Not saying, “yes” to everything that is presented to you. Of course, if you like every opportunity placed before you, feel free to give it a green light status. However, saying “yes” to opportunities that aren’t what you’re looking for, or you don’t feel you are a fit for, can cause all parties to waste their time and spin their wheels on a position that you really never wanted to begin with. Do you have a diverse set of qualifications that make you a good fit for various positions? Be sure to create different versions of your resume to highlight these skills. Many candidates feel that they should only have one resume to give to their recruiters. Not true! As long as all of the information on each version is 100% accurate, it’s okay to have variations that work better for different opportunities. Finally, when working with headhunters in Milwaukee, consider initiating the partnership while you still are gainfully employed. Already having a job means that you can take the time to have your recruiter do a little research in order to find you a great final fit. Also, already having a job can also prove a useful resource when negotiating your final compensation package. If you’re looking for qualified recruiters in Milwaukee, Lawler Group can help. Contact us today to begin your job search now.